In 415 BC Athens, a maritime power, Pericles strengthened democracy and built a wall to defend the city state. He underestimated their relative decline of strength. It was an overstretched Athenian power that attacked Sicily and took a hard lesson in defeat. It was the beginning of the decline, recorded Thucydides. The expedition was launched on the pretext of their being in danger of being ruled themselves, if they ceased to rule others. In late 2018, the power of the USA is not in calculation with its strength. Further, its own democratic structure is in question. The elected President has decided to go against the very foundation and norms of the nation. His rhetoric of nationalism, protectionism and disruptive foreign policy threatens the world order as we know it. US hypocrisy is clear in most places they intervened to install democratic values in the recent past, including the Middle East. Western intervention was clearly seen after the end of the Sri Lankan civil war in 2009. This was seen as interfering with the sovereignty of the nation during Rajapaksa’s regime. Today, they are disturbed by the recent moves by President Maithripala Sirisena in dissolving Parliament and calling for elections. On the other hand, the Executive had completely lost confidence to work with the former Prime Minister Ranil Wickremesinghe, who has in turn requested international assistance to restore democracy. One should also not forget that in January 2015, Wickremesinghe was sworn in as Prime Minister in a politically amoral way, despite not holding the majority in Parliament. Meanwhile, China gives a clear signal that it will not intervene in Sri Lankan domestic political issues. The Chinese Ambassador to Sri Lanka, Cheng Xueyuan visited and congratulated the newly appointed Prime Minister Mahinda Rajapaksa. According to local media, out of the 43 foreign missions, the diplomats of the US and Europe stayed away from a recent meeting with the Sri Lankan Foreign Minister in Colombo. This move is in protest of President Sirisena’s decision to dissolve Parliament. US Ambassador to Sri Lanka, Ambassador Alaina Teplitz attending Parliament to observe the proceedings the day after the Supreme Court’s ruling, tweeted that she is glad that the institution is functioning constitutionally. 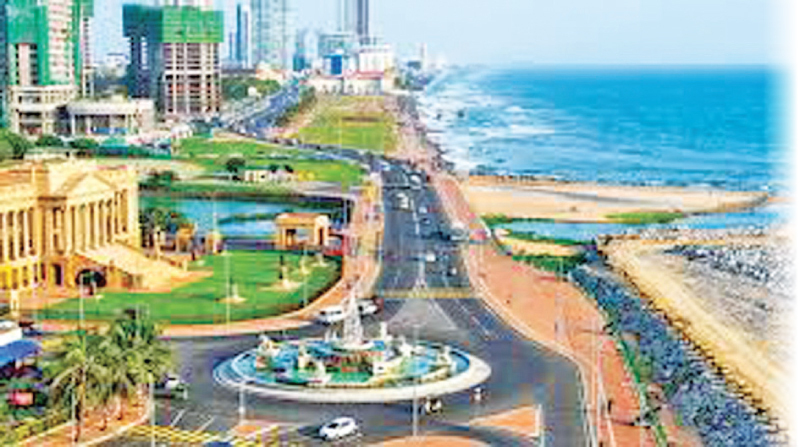 Looking at the Sri Lankan situation, a senior US administration official said, “I would say speaking about countries generally, not just the country we’re talking about, one of the key tenants of President (Donald) Trump’s Free and Open Indo-Pacific (FOIP) concept and our Indo-Pacific Strategy is to protect the sovereignty of countries all across the region.” The FOIP introduced by Japanese Prime Minister Shinzo Abe, now supported by Trump, will be used to contain Chinese influence in the Indo-Pacific. FOIP targets nations such as Sri Lanka and the Maldives which have pledged support to China’s grand strategy of ‘Belt and Road’ according to some scholars. China’s economic security and Indian Ocean ambitions are deeply ingrained in the Indian Ocean littoral states. The Maldives and Sri Lanka are clearly two island nations within the Chinese sphere of influence. Maldives newly elected President Ibrahim Mohamed Solih’s plans to restore democracy and balance the Indian and Chinese regional presence, is yet to unravel. The President’s actions may be seen in comparison to Sri Lanka President Sirisena’s 2015 plans for a balance and non-aligned foreign policy. The geo-politics affecting small island nations has to be calculated closely in this century. To small island nations, China and India represent a rising power and an emerging power, from the same continent. India is positioned 32km from Sri Lanka and 700 km from the Maldives. That internal instability is caused only by internal politics is a badly under-evaluated statement. In the Maldivian case, President Solih’s predecessor Yameen was labelled as an autocrat who signed MOUs to strengthen the Maldives’ relationship with China and support the Belt and Road Initiative. Through this, the Maldives departed from an India-first policy. This is similar to the manner in which Rajapaksa was labelled with the same Chinese affiliation and support. Will President Solih renegotiate the Chinese projects? And if so, how much will he succeed is the question. In the Sri Lankan case, it was clear that the renegotiation skills of Prime Minister Wickremesinghe failed. This ended in the leasing of the strategic port for three generations. I opine that this is connected to Wickremesinghe eventually losing his own portfolio a few days ago, perhaps not only because of the lease to China, but his strategy of rebalancing China with other powers which threatened the national security of the nation. 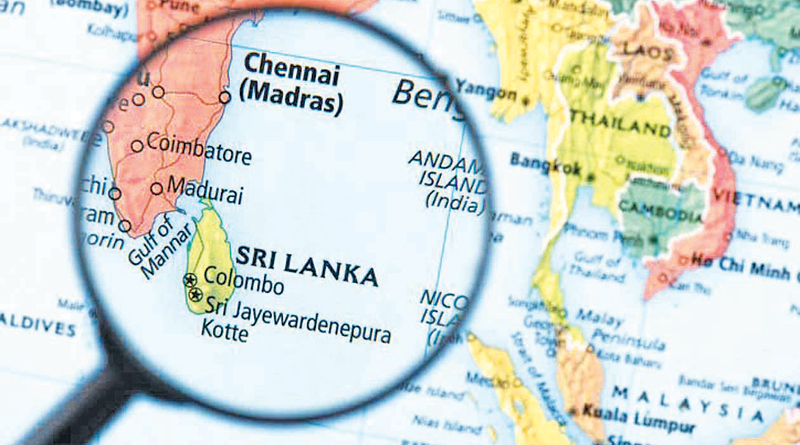 In a related geo-strategic incident taking place on Sri Lankan soil, a feasibility study was to be conducted by the Indians to lease out the strategic military airstrip belonging to Sri Lanka. How did the previous election promise of investigations into Chinese projects end up as a futile exercise? In an article in January 2018, I expressed that the dragon cannot be contained. Will the same situation like Sri Lanka unfold in the Maldives? President Solih’s new government’s plans for democratisation could be weakened from within their allies in the coalition who are neither democratic nor progressive, just like Sirisena’s which weakened from inside and failed to balance the spheres of influence from outside. Internal instability is an opportunity for external powers who will take an upper hand to intervene. Most nations that opened their door to Western powers to restore democracy have seen their countries shatter into further political instability and economic decline. Libya and Iraq are the best case studies. Argentina in 1913 was the world’s tenth richest country, but from 1930 to mid-1970 the country experienced six military coups, alongside political instability, three separate bouts of hyperinflation which exceeded 500 percent per year, while economic growth rates sank below zero for several years. The Argentinean government failed to think long term. Among the factors limiting a country’s growth is clearly political instability and short-term thinking. This is a lesson to many nations in the present day with political instability and short-sighted policy as explained by Dambiso Moyo, the internationally renowned economist in her book Edge of Chaos. Sri Lanka is no exception to this and is already at the edge of chaos. The Unity Government’s with its new bipartisan model was a failure as the two ideologies – centre left and centre right – did not create the required space to accommodate diverse opinion. Consensus within the coalition yahapalana government failed at many turns since its inception in 2015. What resulted was a constitutional gridlock between the Executive and the Legislature. In a shocking move, the Sri Lankan President ended up making Wickremesinghe’s opponent the Prime Minister. President Sirisena, perhaps accused of constitutional disruption and disloyalty, has placed national interest and the cry for political and economic stability as the priority in installing a Prime Minister with the same political ideology. What Ranil Wickremesinghe failed to do during the last three years was to work his own strategy. His Prime Ministership was ceased twice on national security grounds. His Finance Minister was dismissed for investigation on corruption. Another of his Ministers, who working as a consultant, wrote a book on the Central Bank bond scam, allegedly accepted funds from the bidders of the bond scam. His close friend, the former Central Bank governor, went missing after the bond scam of Rs. 11 billion. These were serious blows to his office. The present position is a divided House with a majority with which Wickremesinghe will attempt to claim his legitimacy, while the Executive will dismiss this claim sticking to the appointment of Mahinda Rajapaksa as Prime Minister. This position of the President will not change and the Legislature will need to give into the President’s decision at one point or the House will be in continuous turmoil as one faction will surround the Speaker’s chair and another will surround the Prime Minister’s chair to secure the position. The son of the former visionary leader Ranasinghe Premadasa is a popular choice of many for the leadership of the UNP. Sajith Premadasa is also clearly seen in this scenario perhaps waiting patiently just like his father who came to power after President J.R. Jayewardene. It is time for all party leaders to come to a consensus to allow the masses to cast their ballot to choose the new Prime Minister. Yet again, the people of Sri Lanka await stability. Grand geo-strategies of powers looking seaward weigh in, thus, entangling the local to the global, to a measure it cannot be fully understood without one another.